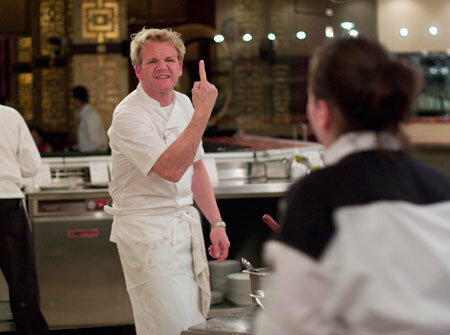 Fitting that in the midst of Shark Week, I would receive an e-mail from one of the casting crew of Kitchen Nightmares, Fox's "reality" show in which the arrogant, expletive-spewing, oddly hypnotic celebrity chef Gordon Ramsay spends a week with a failing restaurant to try and bring it back to life. It seems the Kitchen Nightmares crew is trolling for fresh, floundering restaurant meat for Ramsay right here in the Valley. Are the wheels spinning yet on possible candidates? Of course they are. To be considered, restaurants must have been open for at least one year, offer dinner service, and have at least 35 seats. Also, no franchises or chains.